The Rack returns to CYAC. I have a hard time containing my outrage at the continued inaction by our society when it comes to massacring students in the hallways and classrooms of our schools. 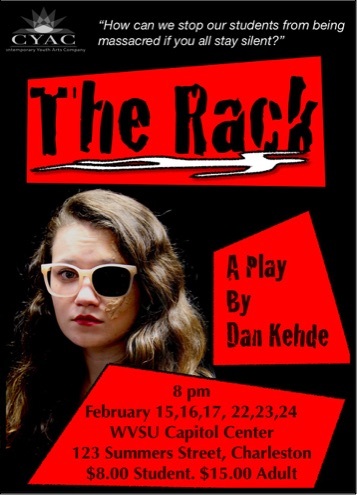 The Rack is new theater; it’s realism is designed to stimulate a cry for decency in this country that seems to be sadly lacking —just as it was when we first premiered this play in 2012. You’d think that we, as humans - not Republicans or Democrats- but simply humans, could agree on a course of action to stop school shooting. Well, the 15 kids and adults in our cast are trying. Are you? It's the story of the aftermath of a massacre of 15 elementary school children and their teachers. Marty Canova, the sixteen year old shooter, lies dead in the hallway; his victims scattered from the cafeteria to the office. His parents sit numbly in their living room while his two young sisters hide their room. The entire community asks themselves "Why?" and then "How did this happen?" and finally "Who do we blame?". 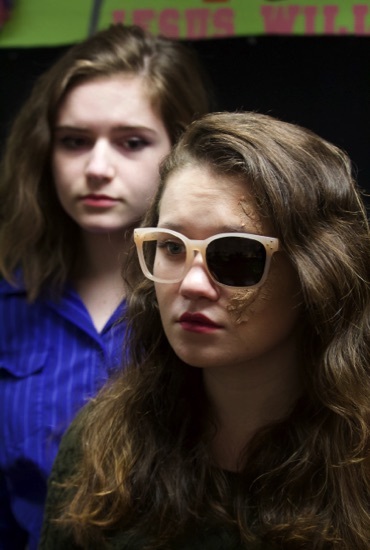 And, despite the heated pleas from the gun lobbiest, the victim of an earlier shooting, the ambitious author, the minister, the psychiatrist, and the friends and family of the shooter, there are no answers. Our cast includes Siercia O'Brien, Maddie Wright, Amanda Skidmore, Aaron Stull, Amanda Mandirola, Jenna Keesee, Dawson Eagle, Casey White, Dalton Ervin, John Boggess, Nik Tidquist, Audrey McMillion, Kristin McMillion, Afton Myers and Susannah Atkins. 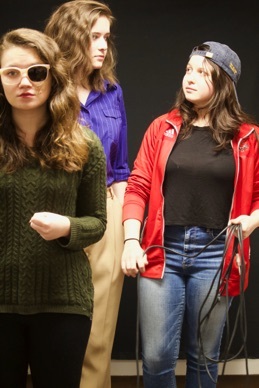 The play was written and directed by Dan Kehde.